Set in a fully renovated stone villa, Artists’ Colony offers stylish suites with free Wi-Fi. 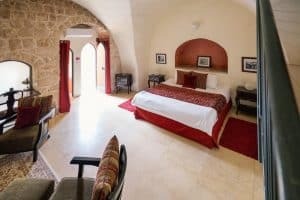 Located in the ancient mountain city of Safed, it features a garden and panoramic terrace.Air-conditioned suites here include a satellite flat-screen TV, seating area and garden views. The private bathroom comes with a bathrobe, slippers and free toiletries. Some suites have a private patio. 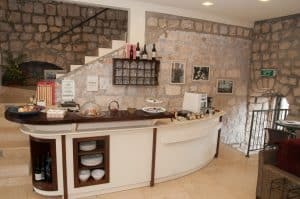 The property is set in the Artist’s Colony area of Safed, and the immediate area has plenty of galleries, restaurants and cafés. A full Israeli breakfast including cheeses, breads, eggs and salad is served daily. There is a common lobby where drinks, snacks and an espresso machine are available. Artists’ Colony Inn Zefat is a 5-minute walk from the International Centre for Tzfat Kabbalah. The town of Rosh Pina is 11 km away, and the Sea of Galilee is 25 minutes by car. 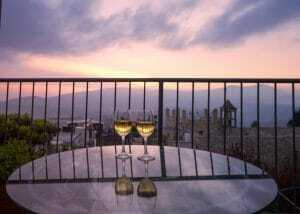 This property also has one of the best-rated locations in Safed! Guests are happier about it compared to other properties in the area. Solo travellers particularly like the location — they rated it 9.4 for a one-person stay. This property is also rated for the best value in Safed! Guests are getting more for their money when compared to other properties in this city.